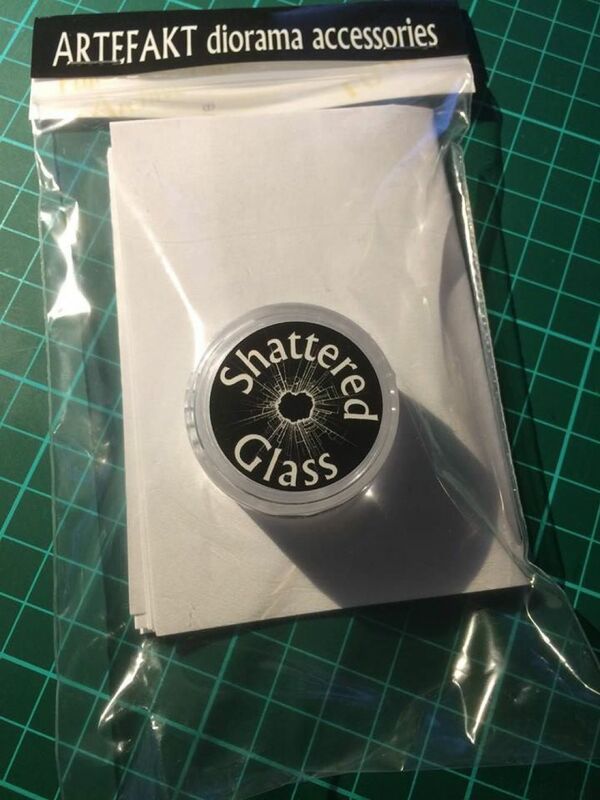 Ultra-realistic, in-scale and safe-to-use "glass" to replicate broken window glass in ruined buildings or vehicles. Comes in a 10 ml screw-lid jar. 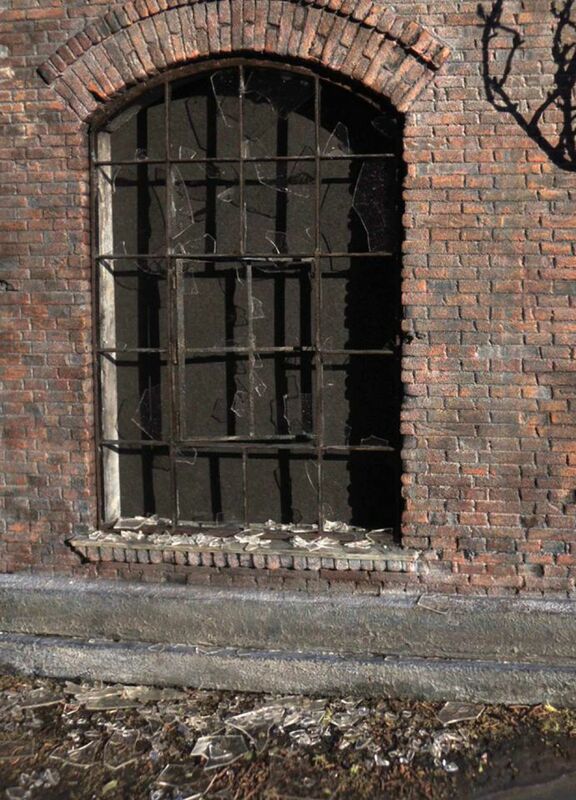 Ultra-realistic, in-scale and safe-to-use “glass” to replicate broken window-glass in ruined buildings or vehicles. 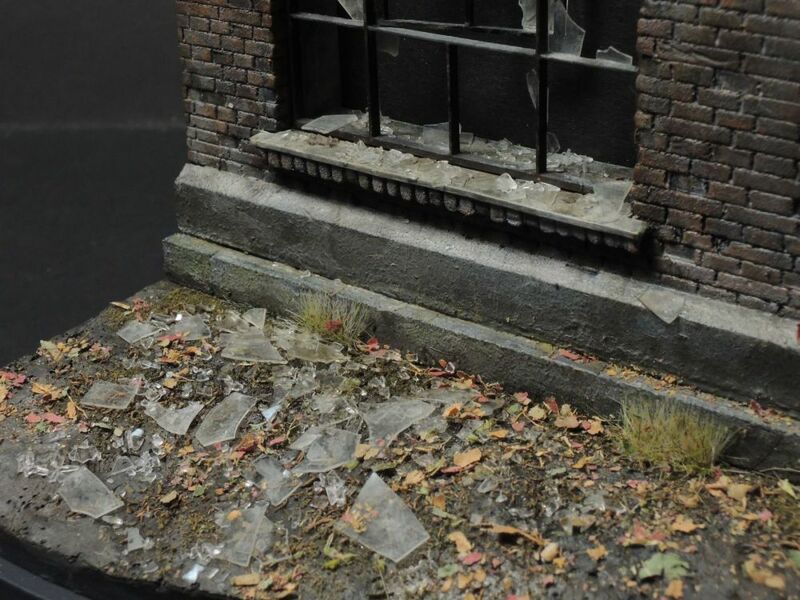 This product is made for use in dioramas, replicating broken window glass in ruined buildings or vehicles. It is made from acrylic material and looks just like broken glass, without the danger of cutting yourself, like when using microscope slide covers, for instance. Before opening the jar, take a hobby knife or scalpel and cut through the label to unseal the jar. Open carefully. The contents of the jar are irregular, there are bigger and smaller shards of glass, just like when breaking real glass. 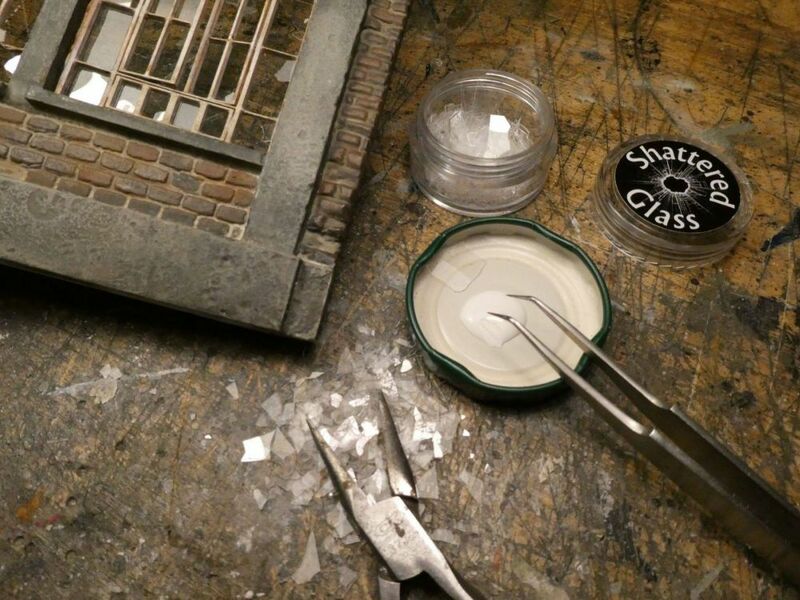 Depending of course on the size of your diorama, the contents of this jar will last for quite a few projects, as it does not need very much to get that realistic sparkle on the ground. Use it as one of the final layers on your groundwork. It can be glued using dilluted white glue (which dries transparent), or you can use a product like Scenefix from Treemendus. First I place the diorama on a larger sheet of paper to catch all the glass that will fall off later, then I place some drops of glue where I want the glass to be and sprinkle the glass on it. Once the glue sets, take the dio and tap it gently so the excess glass falls on the paper and can be saved for later use. 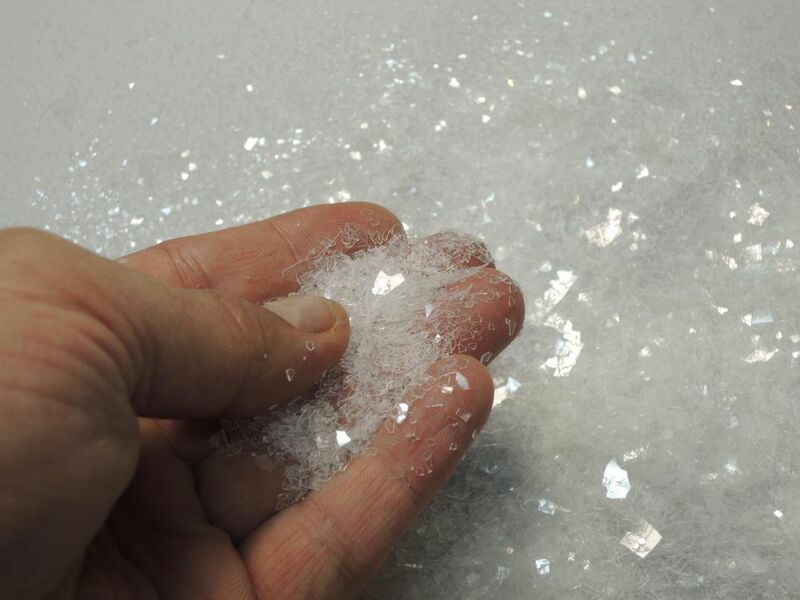 If the sparkle and shine is too much, dust it slightly with pigments or give some of the shards a dusty wash, after the glue has dried..
Of course it must be handled with care and kept away from children under age 14.